The Labor secretary told CNBC that DOL wants to create a "level playing field" for advisors that are already putting their clients' interests first. 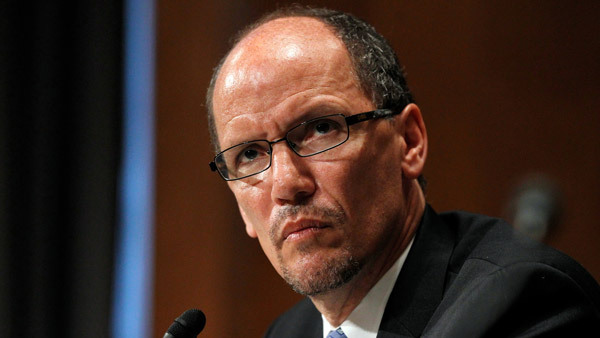 Labor Secretary Thomas Perez said Friday that the Department of Labor “has worked very closely” with the Securities and Exchange Commission on the redraft of its rule to amend the definition of fiduciary on retirement accounts. Perez’s comments come after Rep. John Kline, R-Minn., chairman of the House Education and the Workforce Committee, and Rep. Phil Roe, R-Tenn., chairman of the Health, Employment, Labor and Pensions Subcommittee, told Perez in March 4 letter to furnish to them by March 18 all of the correspondence between the DOL and SEC regarding DOL’s fiduciary redraft. — Check out GOP Reps Demand Proof DOL Didn’t Go It Alone on Fiduciary on ThinkAdvisor.